Also in "Beaches, Nature, Temples"
Kusamba beach is an interesting attractions to visit, located about 7 km to the east of the area Semarapura. This beach is a home of fishermen and the traditional salt-farmer. 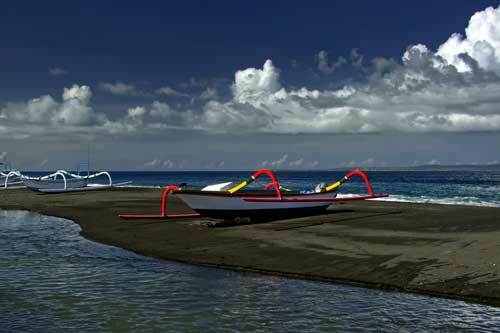 This black sand Bali beach has a beautiful panorama which not inferior to other beaches in Bali. The fishermen and salt farmers here still using the old ways were taught from generation to generation by their ancestors to catch fish in the sea and making salt. Tourists who come here can watch how the fishermen fish in the sea and also can watch how the salt-making on the beach. Kusamba beach is also near to the Port of traditional transport access to the island of Nusa Penida, Nusa Lembongan and Nusa Ceningan which famous in their marine tourism. This beach is called “Kusamba beach” because this beach is in Kusamba village. 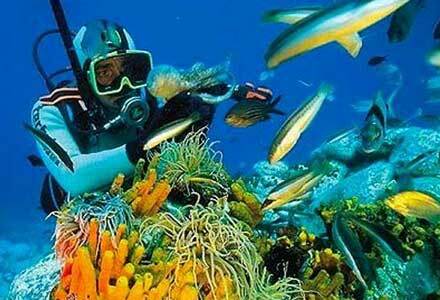 It takes approximately 90 minutes drive from Ngurah Rai airport when using a motor vehicle and is approximately 29 kilometers from the city of Denpasar. 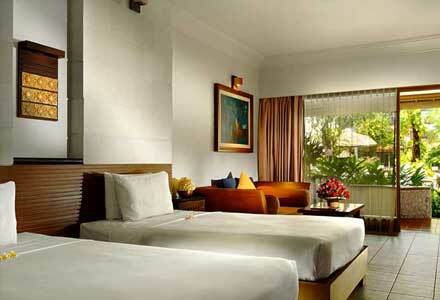 Approximately 3 km to the east from Kusamba beach there are a bat cave and a Balinese Temple. 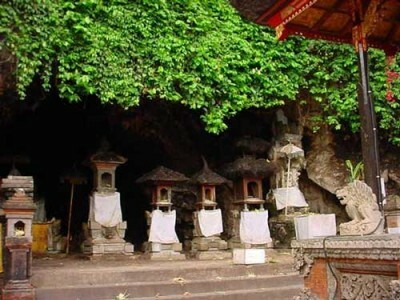 Both venues are then referred to as “Pura Gua Lawah” (Bat Cave Temple). The cave is located at a hillside, and it is full of bats. This very old temple have a great meaning for the Balinese. The Bali bat cave temple is located about 49km from Denpasar city, at Dawan district, Klungkung regency, or around 10km east of Semarapura. Not sure who and when this temple was set up, But this temple predicted was founded by Empu Kuturan in the 11th century. Empu Kuturan came to Bali during the reign of the son of the brother of King Airlangga. Airlangga is a king of East Java (1019-1042). 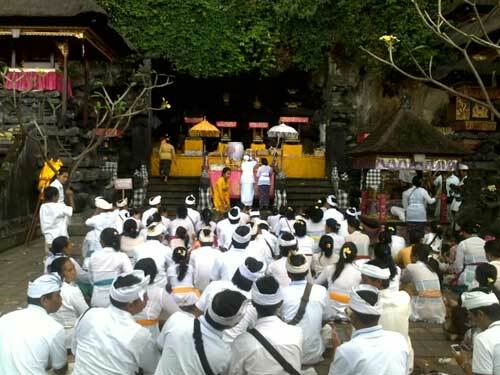 When arrived, Empu Kuturan find many religion sects in Bali. Then, Kuturan developed the concept of “Tri Murti” to unite all the sects. 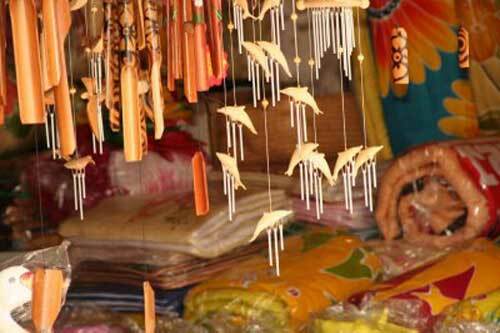 Kuturan also teach how to making “Kayangan Tiga” temple on each Balinese village. He also establish some “Kahyangan Jagat” temple, one of them is this bat cave temple. Like its name, the cave and the temple itself occupied by thousands of bats. This place has a unique view, a cave located under shady trees, while there are some “Pelinggih” at the cave mouth. Pura Lawah occupies the coastal regions of the province met the hills. At the yard of temple stand some “Meru”. Pelinggih and Meru is somekind of place to worship Sang Hyang Widhi. There are some kind of Meru in here, namely Meru Tumpang Tiga, Gedong Limasari and Gedong Limascatu. Peoples said this cave is guard by a giant snake named “Naga Basuki”, and the bats is a food stocks for this snake. Local peoples also said if you explore this cave, it will bring you up to Pura Besakih. However, there has been no volunteers willing to prove it.